Whenever one object exerts a force on a second object, the second object exerts an equal and opposite force on the first. is represented by an arrow. 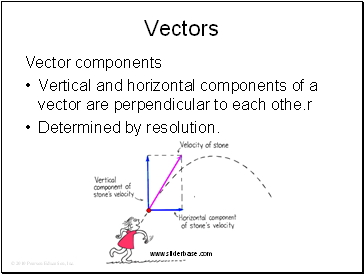 For vectors in the same direction, add arithetically. 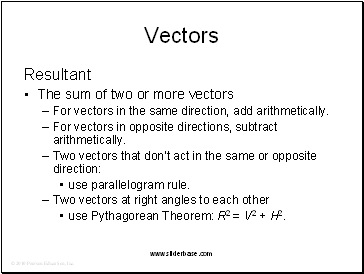 For vectors in opposite directions, subtract arithetically. use Pythagorean Theorem: R2 = V2 + H2. Referring to the figure, which of the following are true statements? A. 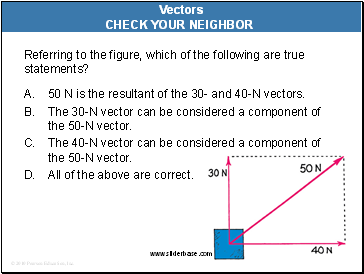 50 N is the resultant of the 30- and 40-N vectors. The 30-N vector can be considered a component of the 50-N vector. The 40-N vector can be considered a component of the 50-N vector. A. 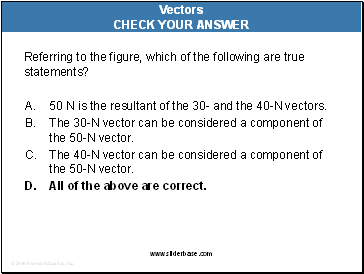 50 N is the resultant of the 30- and the 40-N vectors. A. 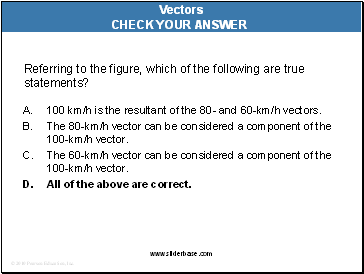 100 km/h is the resultant of the 80- and 60-km/h vectors. 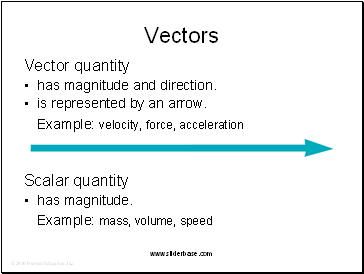 The 80-km/h vector can be considered a component of the 100-km/h vector. 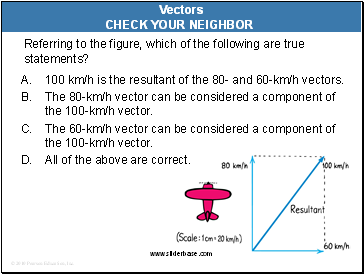 C. The 60-km/h vector can be considered a component of the 100-km/h vector.